Last year, my brother got me a Geno 2.0 kit from National Geographic. It took me a while to get around to it. But, now that I have done it… Coolest. Gift. Ever. Particularly if you are a sucker for genetic anthropology, and a map freak to boot. I mean, its one thing to spend tons of time hunting down different animated maps depicting mankind’s diaspora from Africa (like the National Geographic’s Global Human Journey; or Professor Stephen Oppenheimer’s “Journey of Mankind: The Peopling of the World” funded by the Bradshaw Foundation; or this not-so-animated Genetic Atlas of Human Admixture History; or this completely static World map of Y-chromosome haplogroups – really, why is this not animated!) Its an entirely different thing to have your own mitochondrial DNA sequenced and plotted over time against these geographic haplogroup mappings. See mine here. Its fascinating. I have long thought the concept of race was crap. Growing up as a racist (oh, and sexist and homophobic) white southern male in the 1970s and 80s, it took me a while to get to that point in life. But, getting the results of the Geno 2.0 kit made it very clear. In my youth, my Scotch/Irish/British/WASP and pioneer-stock roots clearly imparted me special “caucasian” status, along the traditional racial lines of distinction that were culturally reinforced every day in “The South”. Even as a fan of Charles Darwin and the Origin of Species, my youthful ignorance could not be eroded. It wasn’t until the concepts of “genetic anthropology” and mitochondrial DNA were popularized that my small brain finally grasped that the variety of humanity (both genotypically and phenotypically) was more like different breeds of canines (though, even less material) than the tired concept of “race”. And, that over the past 100,000 years, mankind had journeyed from its point of origin in eastern Africa to every corner of the Earth, adapting genetically and in physical appearance from time to time. But, no. These changes have manifested more as illusions obscuring the truth than anything truly meaningful. Thanks, evolution. Really helpful. Interestingly, the major haplogroups that define their distant past (both mom and dad), going back 60,000 years are majorly different – even though in a modern context they would both be considered standard “white people”. But, also, there are no specific haplogroups that define either my father’s “Britishness” or my mother’s “American frontiersman” heritage. Discernible genetic differences end about 10,100 ± 1,610 years ago for Mom and 10,000 – 20,000 years ago for dad. I have long understood that the Brits are basically “mutts”, with crazy mixes of waves of Paleolithic, Celting, Angle-Saxon and Norsmen/Norman genes intermingled in interesting ways. But, still, I would have thought that somehow these would have been identified in distinct haplogroups. Alas, no. I guess this is the difference between genotypes and phenotypes? Or, as I have long said, race actually isn’t a thing. Groups of humans have long used all sorts of criteria to exclude others, and have reinforced their unique differences through costly measures that demand demonstrable commitment, and they have long used the term “race” as a shorthand for these differences. We have long distinguished ourselves against the “other” using the term “race” as code for the cultural differences that we preternaturally reinforce (and otherwise guard against) with various social control mechanisms. In particular, the cultural differences include language (including dialects, vocabularies, and even accents), clothing/dress, hygiene, scent/odor, religious/moral commitments, diet, dietary induced physical/physique development, cohabitation standards, familial expectations, obscure ritual interactions, and all of the social differences that we find “weird” and “foreign” in the “other”. So, when I get that US Census form that asks me to check my race, I am definitely going to start checking “other”. I know that these Census data help social scientists make broad group based assumptions about our behavior. But since that in turn is too often used to devise social control mechanisms to influence the behavior of “African Americans”, “Latinos” and so forth (which has turned out oh so well, right?!?! ), perhaps everyone opting out of this problematic measurand would force more sophisticated thinking about the commonalities that could lead to cultural solidarity, and the actual differences that must be analytically understood in order to form a more Perfect Union. As for Geno 2.0, all I can say is that this is super cool. Do it. Seriously. Just do it. And, buy it for your friends and family. Its a great gift. Happy Holidays. In the Fall, I was elected to the Council of the American Geographical Society, which is a cool organization with a very long history. It was founded in 1851 as the first scholarly organization in America dedicated to the study of geography. And, as you might expect from the era, they were heavily involved in mounting expeditions to the Poles, to the American West, and to exotic countries of which we (Americans) knew little. Expedition was a primary mode of geographical research. Well, the world has changed. In the 20th century, we saw the rise of satellite remote sensing and the establishment of a global positioning system that enabled precision geopositioning by surveyors, and at the beginning of the 21st century, anyone with a cell phone. Also, over this 160 years, the actual geography of the world has changed. While the continents have only moved centimeters, humans, human activity and the technologies we have unleashed have remade the geography of the world. 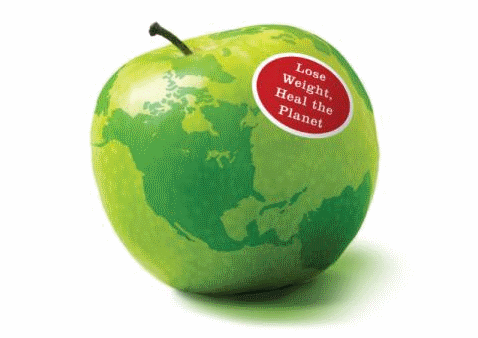 And, this process of change will only accelerate in the future. It is with this view on the world that the AGS has come to revive the role of expeditions. Yes, the AGS will continue to mount socalled “Bowman Expeditions” named after their former Director Isaiah Bowman, to work with local and indigenous populations to make sense of their world through participatory mapping. But in addition, AGS will now be exploring our future world as it convenes its Fall Symposium entitled Geography 2050: Mounting an Expedition to the Future. This effort is not just a single event. The November 19th Symposium, hosted by Columbia University’s Earth Institute in the historic Low Library, will be the inaugural event of a multi-year strategic dialog about how our world will change between now and 2050, the major factors driving these trends, and the investments that we will need to make in order to better understand, anticipate, and weather this change. The coolest thing is that this event is not just about sitting and listening to smart people (though, feel free to come, sit and listen!). Rather it is about engaging this process as a thinker yourself, and engaging Geography 2050 as a platform for participation. Come and speak up with your ideas and analysis. Perhaps you could take a lead in driving the debate and analysis about our changing world by participating in this inaugural event, and the many events that will flow from it. Perhaps you can help society navigate this uncertain future more effectively. See you in NYC on November 19th! Register now! 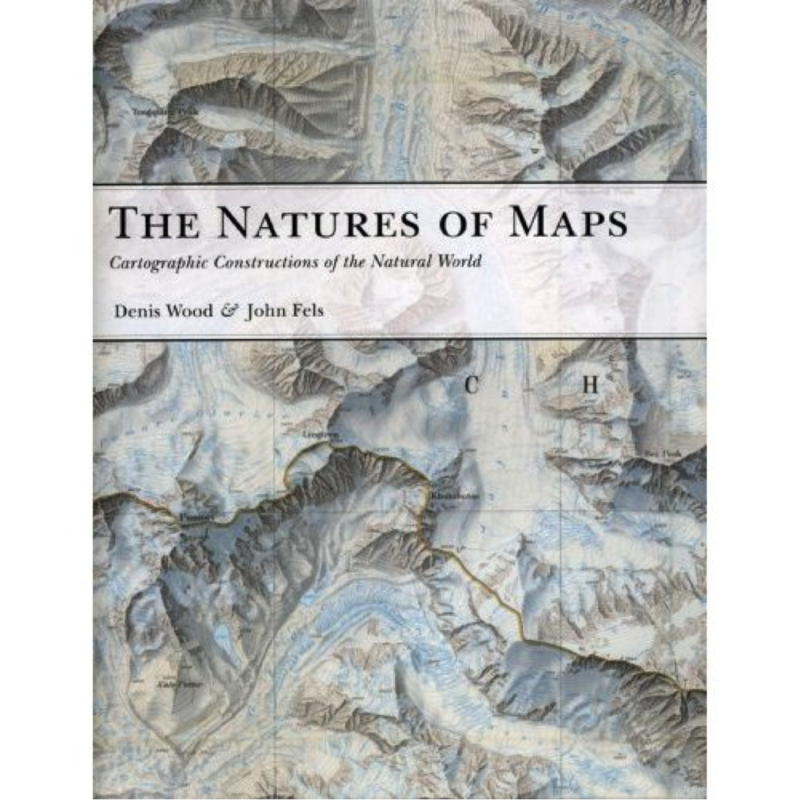 OK, so I know that I have gone radio silent for a long time, but I told myself that I would not spend energy blogging until I met my commitment to get this first monograph by the United States Geospatial Intelligence Foundation (www.usgif.org) published. As a Board member of the Foundation, I was asked to help honcho this effort with my colleagues Dr. Robert Tomes and Dr. Darryl Murdock. Lets just say that it took longer than anticipated, thus explaining the enormous gap in my blog posts. We assembled a fantastic mix of folks for this edited volume including the Geographer of the United States, the US Army’s Geospatial Information Officer, super-badass geostrategist Parag Khanna, and a wide variety of fantastic scholars and practitioners of human geography. A sincere thanks to all who contributed, and an apology for the ridiculously long time it took to get to press. This was an interesting exercise, because it was looking at the way various socio-cultural dynamics impact global security, and the wide variety of disciplinary and professional lenses that are applied to these dynamics in the national security community. Many competing terms had seen lots of investment and energy within the national security community during the 2000s including human terrain, cultural intelligence, social network analysis, and the like. 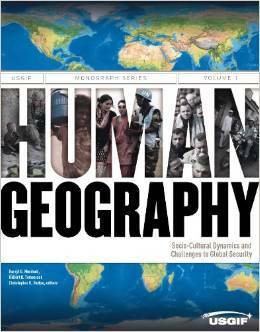 And, of course, good old human geography had its storied history in contributing to the national security enterprise. In one volume, we could only cover so much, but this volume definitely provides a worthwhile view on the field and the complex issues it struggles with. Anyways, no blog post can do it justice. So, I encourage you simply to pick one up at Amazon here. This week at the Free and Open Source Software for Geospatial (FOSS4G) conference, here in Washington DC, my co-conspirators (thanks to many, including Robert Tomes, Ian Schneider, and Chris Holmes) and I launched the web presence for a little social venture of mine. It is basic, and very rough – but at www.mapstory.org you can see the beginnings of something that I have had brewing for quite some time. When the WWW first popped up in the early 1990s, I was at Columbia University as an undergrad, working in the Provost’s Office, under Michael M. Crow and Jonathan Cole, when the Mellon Foundation launched a website called JSTOR.org. As an aspiring social scientist, this was a major event, as now I could word search, find, read online and print virtually every social science journal back to the 1880s. No more fistfull of dimes at the xerox machine anymore. The transformation of how social science knowledge was organized and shared was pretty amazing. But, as a redneck who lacked the proper nouns to search and find what I wanted to know, I dreamt of a MAPSTOR.org that I could search spatially and temporally (you know, a bounding box and a time stamp) and find out what the preponderance of social scientists knew about what had been going on. And, the site could convey this information in MapStories – yes, a cute play on words. Alas, it as just a casual thought that floated around my brain for some time. After all, I had a Masters and PhD to complete, a job to get, a beautiful bride to find and marry, children have and to raise, a home to create, etc. Of course, the bigger barrier was simply that web mapping technology did not even exist at that time. Nor did a business model for populating such a site. However, as I forged ahead on the lifepath outlined above, technology advanced (particularly license free, open source geospatial technology – thanks OpenGeo! ), and crowd-sourcing business models proved their worth though projects like Wikipedia. So, when I had some flexibility in life in 2008, I decided to venture off and see what might be done to bring this dream to reality. It took a while, but here we are. If this thing goes right, MapStory will serve as a new dimension to the global data commons (yes, we call it MapStory because the JSTOR lawyers were none too pleased! – and its a better name anyways) that enables everyone on earth to organize and share what they know about their world spatially and temporally, instead of encyclopedically the way Wikipedia allows. This data (what we call StoryLayers) will be shared with the world under a Creative Commons license, and perhaps someday we will have the technology to make them editable by the crowd the way a wiki works. Also, (again, if things go right) MapStory will empower people to publish their narratives (what we call MapStories) atop this data to a global audience. A global megaphone by which everyone can tell their stories about the world. There are many technical and business model challenges ahead, but the OpenGeo technical community that has helped build MapStory.org using their open source geospatial software has gotten us off to a great start. And people have already come out of the woodwork with their very cool ideas about the kinds of StoryLayers and MapStories that should be available to the world. Cross your fingers. Or even better, get involved! MapStory is an open platform for participation that anyone can shape and improve over time. So, I recently met a gentleman by the name of Doug Batson who coined the term “Napoleonic Know-how” to describe the administrative functions associated with the Napoleonic Code – specifically, the management of land parcels – what the experts call the “cadastre”. Doug is an expert in toponyms. In particular, he is an expert in toponyms from Turkic tongues. But, he is also an expert in cadastral data, land tenure issues, and the establishment of systems for the management of land parcel data. 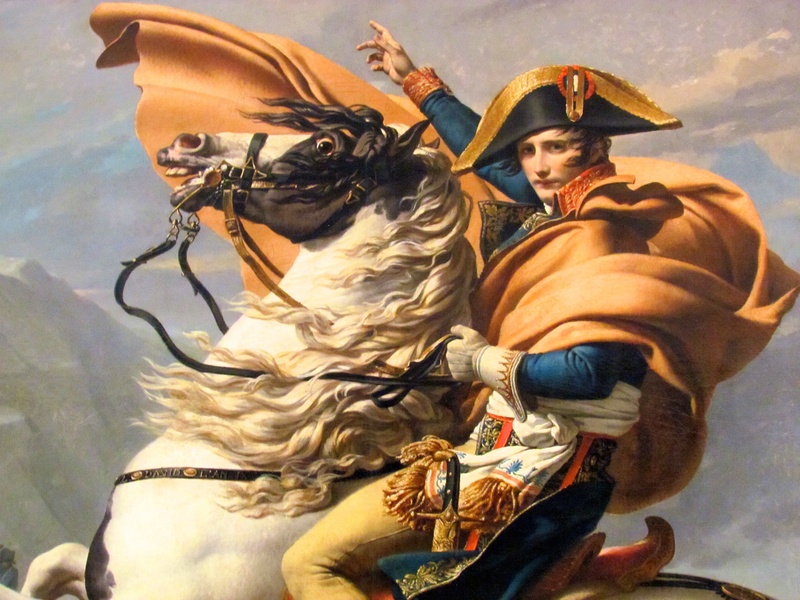 What I love about the term Napoleonic Know-how is that it shines a light on the administrative capabilities that underpin democracy and capitalism, but which none of the Washington Commentariat or policymakers are even conscious of. They scream for the US to establish democracy and capitalism around the world, but they wouldn’t be able to recognize the administrative functions required to underpin their success. 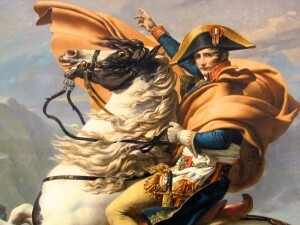 No, Napoleon was not a democrat or a capitalist. Napoleon used the cadastre to establish an iron grip on the European continent through his Napoleonic Code and the land management system it engendered. And he built upon this system unique addresses (for the parcels) which helped locate each person to a specific plot of land on their identification card. It was an mechanism of oppression and order. But, systems built during one time for a specific purpose often take on different social purposes over time. And, the way it was manifested in English Common Law, and under George Washington and the Founding Fathers had a different effect. For some reason, policymakers in the US have completely forgotten that capitalism only exists because of legally codified property rights. And, law enforcement and contracts are only workable when each individual is uniquely identified and tied to residences and places of employment via addresses. And, representative democracy only works when it is periodically reapportioned based on the results of the census. What I love about it in particular is that Napoleon, widely considered to be one of history’s greatest battle commanders saw his greatest accomplishment as his creation of the Napoleonic code. But, yet, our national security community do not understand the role of such administrative mechanisms in establishing stability and underpinning open society. Instead, are organized to kill our way to stability. Maybe our battle commanders could learn from Napoleon, and work to establish a well managed cadastre, address systems, unique IDs, and a systematic census in the conflict zones to which we so readily send out troops. Perhaps if we underwrote this investment in countries of national security concern to us, we could help enable the development of open administrative capacities that make stability more feasible. This (geo)graphic was generated by Wired Magazine in this great little article. This is a fantastic idea. Greed, envy, wrath, sloth, gluttony, and lust should become a series of maps maintained by the Federal government! Done correctly, this could tell us a lot! Unfortunately, I think the author chose poor proxies. Particularly for gluttony and sloth. This (geo) graphic was pulled from one of Vint Cerf’s presentations at the NRO. 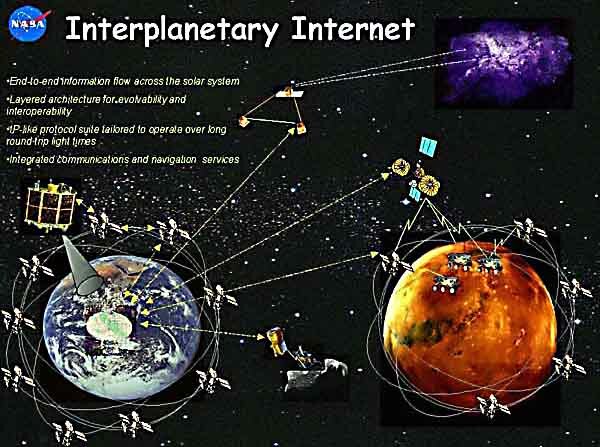 I can’t believe I had not heard of this before last week, but Vint Cerf’s presentation on his work on the Interplanetary Internet was one of the cooler presentations that I have seen in a while. Actually it was just a small part of his overall presentation, but it was for me the most notable part. Cerf was the co-creator of TCP/IP during the original ARPANet project, and he had great network diagrams of when they connected their hub at UCLA to only a handful of other nodes. This was how small the original experiment was (and Cerf mea culpa’d several times about his mistaken choice of a 32 bit name space over a 128 bit name space a la IPV6). That made this whole Interplanetary Internet thing seem a little bit less crazy to me, as the experiment simply involved uploading the new DTN (Disruption-Tolerant Networking) protocol software onto a few spaceborne platforms and conducting some dial tone experiments. What I thought was very cool was that he was asked by DARPA to test DTN in a tactical battlefield environment in order to see whether “Disruption Tolerant Networking” might apply to an Earth-based context in which disruption was expected. Indeed, according to Cerf, it performed very well, with many advantages over TCP/IP. Apparently tests demonstrate that 10-15 times more data gets pushed through the network under DTN than with TCP/IP. Cerf said something about getting DTN on the Android platform, so there might be an opportunity for a large-scale Earth-based test sometime soon. I hope Cisco, F5, Juniper and the others are listening! I was having a conversation with Amjad Atallah of the New America Foundation about the power of maps in defining lines of peace and conflict in the realm of foreign affairs. He had a couple great stories relating to the Israeli/Palestinian conflict. Christensen is associate director of the Spatial History Project at Stanford University’s Bill Lane Center for the American West. He writes a good book review. Now I guess I have to buy the book.